America has spoken, and now it is time our hearts collectively listen. 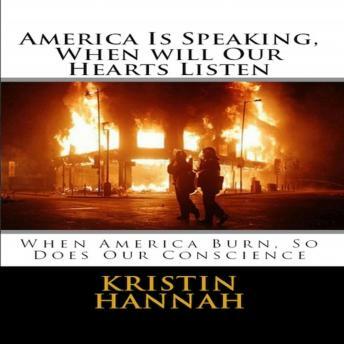 From the riots in Baltimore and the majority of Americans living below the poverty line, it is time we concern ourselves with America's future. This book is a collection of citizens across America who are tired of the problems politicians in Washington keep ignoring. It is time we stand up against police brutality, domestic violence, and deplorable living conditions of those working starvation wages in America.